The LCBO is asking for bloggers to share their favourite Ontario Wine Country experiences for a chance to wine some incredible prizes. I love Ontario Wine Country. When my friend, fellow foodie, and fellow wine enthusiast Ginger Rose told me about this incredible opportunity offered by the LCBO, I knew immediately that to pick one experience to blog about was going to be a challenge. I have had many incredible adventures in Ontario Wine Country, but after careful consideration, I was able to narrow it down to 2 potential story candidates. Both have been loving titled for your viewing and reading pleasure. 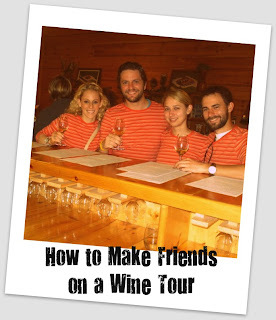 In which our protagonists, 4 friends each with an obvious lack of shame, decide that matching shirts are the best way to make new friends on the bus. 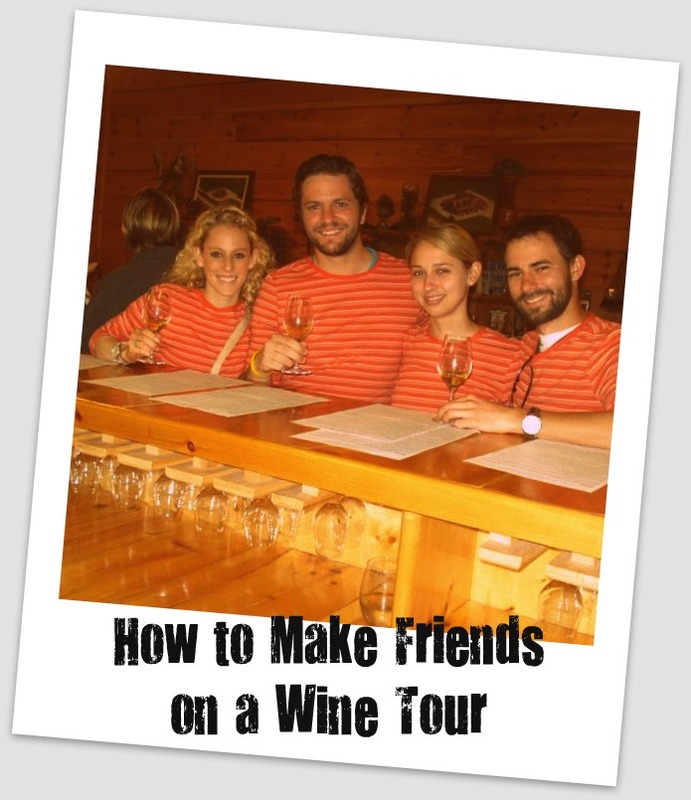 While this story is a good one (spoiler alert: we made friends and got several other people on our tour to wear the shirts), it was recently eclipsed by a Wine Country experience that is a story still in the making. 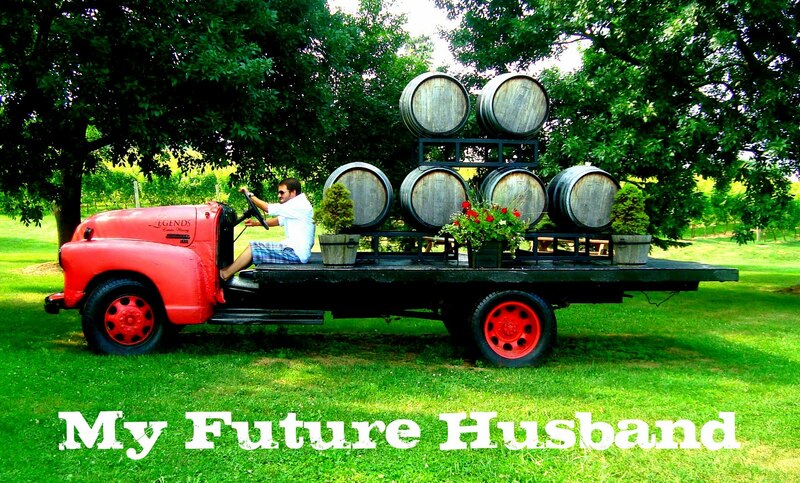 In which our wine-loving protagonists plan their vineyard wedding. *Ed note: the original title of this tale was 'When a Wino loves a Wino' but upon a more in-depth investigation of the actual definition of the word 'wino', I felt it might have been deemed inappropriate. Quick back story before we get into the Wine Country Experience. John and I met when we were 16 and 15 respectively but didn't connect romantically until just before my 21st birthday. Since then we have moved in together and on June 3oth, 2011, John got down on one knee on our balcony and proposed. 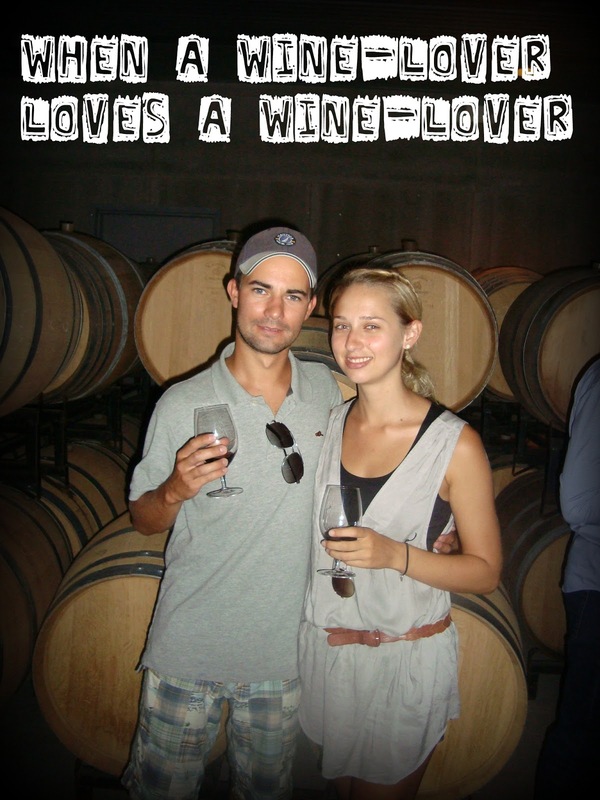 We had always discussed getting married on a vineyard somewhere in Niagara and I had secretly scoped out venues both online and in person during the great winery bike tour of August 2010. 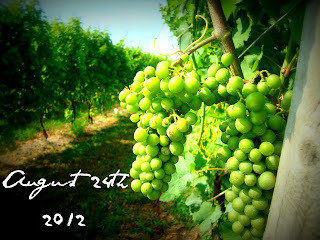 We spent a few quiet evenings browsing various wineries in the Niagara area, making note of which ones hosted weddings. Right from the start, one winery stood out. I found myself coming back to the website again and again to look at the pictures. I sent off a quick email asking for more information and a speedy response proved that this place was a serious contender. After crunching some numbers (and directing friends and family to check out the pictures to ooh and ahh over) we booked an appointment to see the winery in person. Did you know that there are two Ontario Street exits off of the QEW? After taking the slightly longer but more scenic route, we arrived at our venue and immediately fell in love with it. Legends Estates Winery in Beamsville, Ontario. When we walked onto the property we were greeted by a rustic truck with a bed full of barrels and by row after row of grapes. Overlooking Lake Ontario is a white gazebo. I saw it as the spot where next summer we will say "I do". Beside that is a tent that houses tables, chairs, and a dance floor. I saw it as the place where we will dine and dance the night away with our friends and families. We met with the two women who help to make weddings happen at Legends and they told us all about how our day would unfold. And I became a poet. We have always loved trying and learning about different wines. Our guests will be given this experience with a guided tasting of the wines offered at Legends. 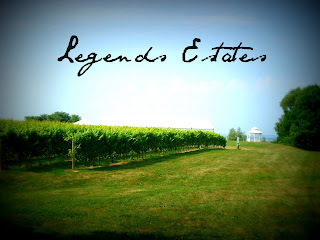 Legends also secured itself as our top venue choice when we learned that a percentage of the sales from their Diva wines goes to Women's Place of South Niagara, an organization that provides shelter and services to abused women, children, teens, as well as friends and family of abused women. Please visit their website here if you'd like more information. I have had many incredible experiences in Ontario Wine Country. From cycling from winery to winery in the sun and in the rain, to striking up conversation with strangers regarding some very ugly orange shirts. I've come home from every trip with wonderful memories. The Wine Country experience that has meant the most to me was walking hand in hand with the love of my life around Legends Estates Winery, knowing that in just over a year from that moment we would once again be strolling through those same spots. Only next time we'd be doing it as husband and wife. 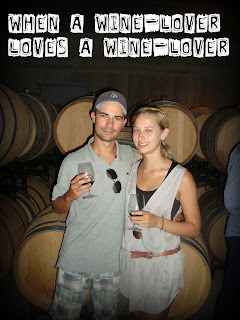 Ontario Wine Country will always be a place of romance for me. ...and so perfect for me. This is an even better Ontario Wine Country adventure in the making. What's wrong with "wino"...other than it conjures thoughts of homeless guys drinking out of the hose coming from the box of wine cradled under their arm huddled around a garbage fire? What could be more romantic? As an attendee of many a wedding, the winery weddings are the best! Good luck once again with your pending nuptials.